A New York City writer's thoughts on the books he reads. I haven’t even come close to reading Philip Roth’s immense body of work to compare this to his other novels but being that he’s often considered “America’s Greatest Living Author” (whose name often comes up during Nobel Prize time), I thought it was about time that I begin to play catch up. The novels I have read in the past I’ve enjoyed greatly so I was looking forward to reading something more recent from him, mainly because writers (or any other artist for that matter) often changes a hell of a lot from his/her early years. 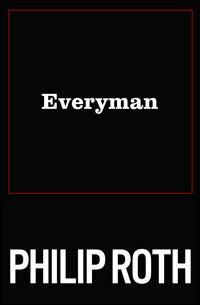 Everyman was published in 2006, which would have made Roth around 73 at the time this book first hit the shelves and I find it interesting that the main focus of the novel would be about aging and death. The reader already knows the unnamed protagonist - a former successful advertising man from Newark, New Jersey - is dead since the novel opens with his funeral. Gathered around his grave are his family members, friends, and associates who all have something to say about him, which gives us a clue as to what we are in for as the novel looks back over the man’s life. Going through his childhood in Newark to his successful professional days in New York City, to his final days living a quiet life in a retirement community on the Jersey Shore, we get a glimpse into his life: his former wives, his affairs, his relationship with his children, as well as his relationships in his final days. Now aging and finding himself in failing health, a lot of what occurs is his ruminations on aging and the prospect of death while all his former friends, co-workers, wives and associates are checking out one by one. As he contemplates his life, he relives the highs, the lows and regrets with an almost stoic realization of what is coming around the corner for himself. 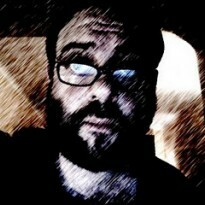 Having rejected his Judaism at an early age, he views the course of his life with an acute existential world view. What did it all mean, if anything? “Look back and atone for what you can atone for, and make the best of what you have left.” It’s easy for the reader to want to equate the fictional protagonist with the author - something a reader shouldn’t really do. It is fiction, after all; but one can’t help but wonder whether or not Roth himself is struggling with these very issues as he get on in years. Everyman is a small book, coming in at around 182 pages, and it will have you thinking about these issues throughout, especially when you follow him from his childhood years when the world was still fully open to him, not knowing where he would eventually wind up. By the end of his life, you begin to see that sometimes life doesn’t turn out the way one expects it to and that sometimes the search for what it was all supposed to mean is elusive at best.